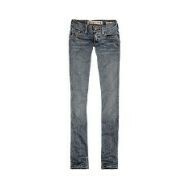 Consumer Ally Q&A: New Hollister jeans fell apart after one wash, now what? Welcome to WalletPop's Consumer Ally, where we are on your side -- to help resolve difficult situations, explain why things happen the way they do and to try to right wrongs. If you're having a problem with a business, please send a note to ConsumerAlly@WalletPop.com. Q. My daughter's friend recently purchased jeans at Hollister. They fell apart after being washed. She tried to return them as they cost over $70. She was told that after they had been washed Hollister will not take a return. I called the corporate office on her behalf and was told that is Hollister policy. Do consumers have any rights on defective products such as these jeans? A. The hallmark of top-flight customer service is being able to leave a bad situation and feel good. You don't see that so much these days. It is certainly reasonable to expect that any jeans will survive their first wash. And it is reasonable to expect that if they do fall apart that you would get some compensation, if not a replacement. So, I put it to Abercrombie & Fitch, which owns the Hollister brand. If a customer's merchandise is not washing, wearing, or holding up properly, we definitely want to solve the problem. Our managers are trained on how to properly handle quality returns -- they are aware that some products may not show an issue until they are washed. We don't have a repairs department, but customers are more than welcome to have it repaired locally and send us the original bill along with the original receipt. We reimburse the customer in the form of a gift card for the repairs about three weeks after we receive all the necessary information. Our customers typically appreciate this resolution. For the few known quality issues, the corporate customer service team will facilitate the exchange/resolution process for the customer. In a one-off quality claim -- like the one (above), the corporate customer service team promotes a relationship between the customer and the store management and does not get involved other than documenting the issue. How did that play with the letter writer? No so well. I must not be a "typical customer," because this does not make me happy. This resolution would mean that we have to pay to have the pants repaired and they are falling apart in the middle of the upper thigh area not at a seam where it would be easy to hide a repair. What good is a gift card for the amount of the repair? This means she will probably have to add more money to the card to purchase an item in their store. I have never encountered a store who refused to stand by a defective product. In this economy most retailers will stand behind their products and treat customers in a more professional manner. For the money that they charge for their products, one would expect better customer service. Who am I to tell a retailer how to do business? But as someone who hears complaints from consumers every day, my tip would be -- especially these days -- be nice. Every company has to measure how much goodwill it's willing to expend. Every soured customer could sour still more and the result could be disastrous. The flip side: happy customers beget more happy customers. How much would it have cost to apologize and offer a new pair of jeans in exchange?